The Southeastern Regional Series (SRS) was five full weekends made up of 75-minute crits on Saturdays and road races on Sundays. The 706 Project team battled raging heat, spitting rain, crashes and flat tires, but it was a successful race series for this Raleigh bicycles-riding team. The first weekend took place in Albany, Georgia. The crit was aggressive, with a seven-man break away forming with only 20 minutes left to race. 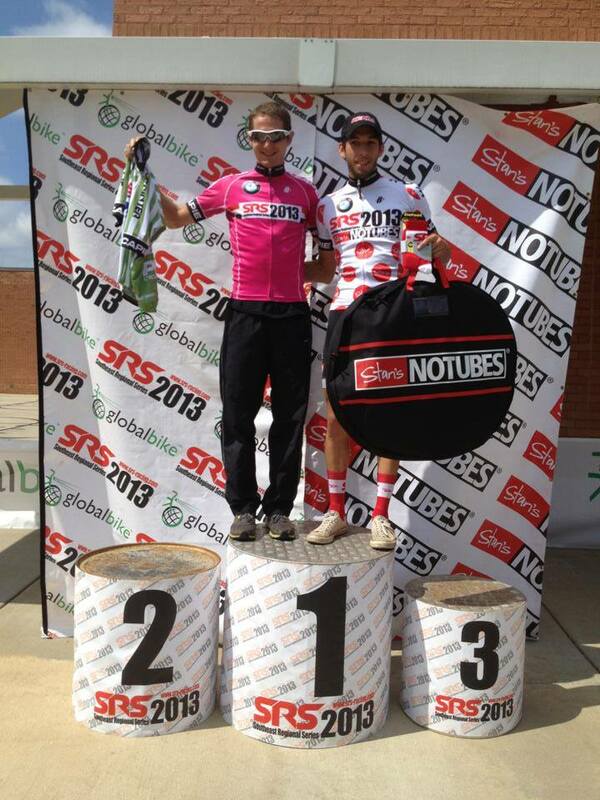 706 Project rider Shawn Gravois took the win. The 90-mile road race took place on a pan flat with no wind. Gravois and teammate Winston David tried to break from the field, but with little luck. The race finished in a bunch sprint with 706 Project’s Brendan Cornett in sixth and David in eighth place. The next race brought the riders to Montgomery, Alabama, welcoming them with a hilly and challenging crit. The ride ended in a sprint, leaving David in third place. David came back bright and early Sunday morning, ready to continue his successful weekend. With only 20 miles to go on the road race, David and teammate Andy Scarano broke away with four others. rode to the win on the flat course, moving him to third place overall in the SRS. Asheville, North Carolina met the riders with the road race first, a 65-mile ride with two three-mile climbs. Scarano, Cornett and fellow 706 Project racer Dan Holt were swept up in a 20-rider break, resulting in a victory and the King of the Mountain (KOM) lead for Scarano. Gravois took ninth and David finished in 10th place. David finished in seventh place in the next day’s technical crit, taking the overall lead in the SRS. The next weekend’s crit was on a hilly four-turn course in Knoxville, Tennessee. Gravois was in the initial break of 10 riders, but the break was caught right at the end of the race. David took seventh place. The next day’s road race was on winding, wet roads with scattered crashes, but the 706 Project boys stayed upright to help Scarano increase his KOM lead. David and teammate Ryan Sullivan broke away with two others with only about 30 miles to go. In the final 200 meters, David sprinted up the last hill to take the win and extend his SRS lead. The final weekend of the SRS took place in Greenville, South Carolina. The 706 Project made a lot of moves on the fast and technical course, but the Hincapie Sportswear Development team dominated the race. 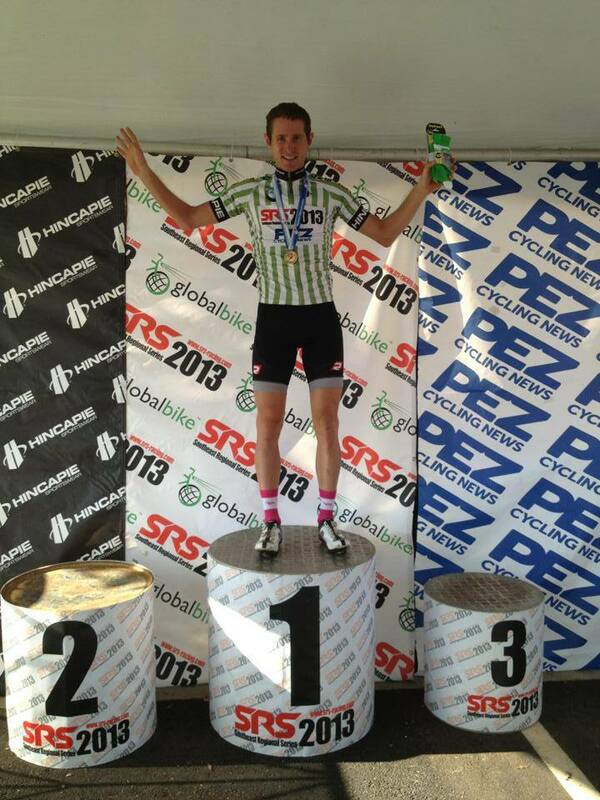 David finished in 13th, sealing the SRS win and the Sprinter’s Jersey! The road race took place on a super hilly course and the Hincapie team dominated with an early break once again. Sullivan was in the break, but flatted out of the race. David finished in 15th place and Scarano took 20th, winning the KOM competition.